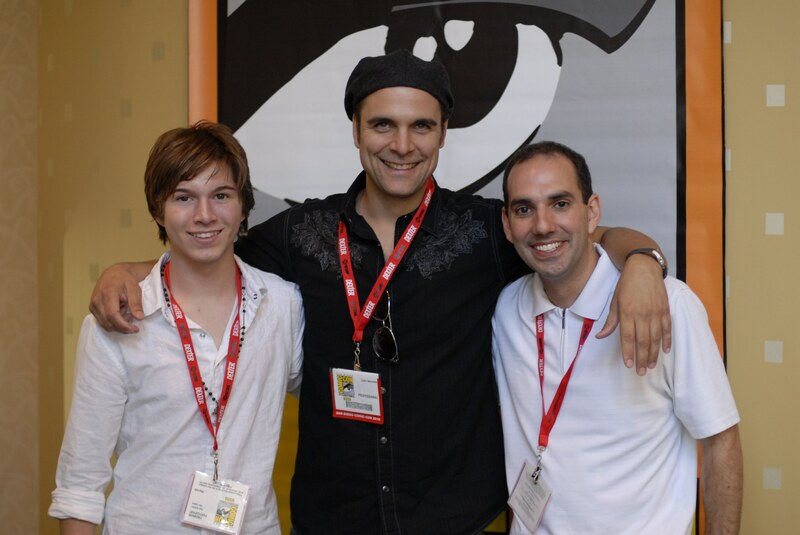 Mike Doto and the cast and crew from “The Legacy” traveled to Comic-Con to show their superhero film at the 2010 Comic-Con Film Festival. If you were there you may have seen Supergirl handing out free copies of the film. After a well received screening, the film’s panel (consisting of writer/director Mike Doto, actor Paul Butcher, actor Louis Iacoviello, editor Victor Carbonneau, and composer Joey Newman) answered questions from the audience. 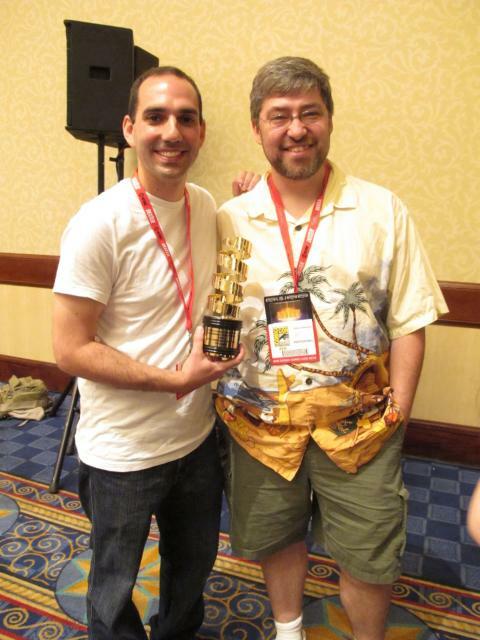 Doto is very proud to announce that “The Legacy” took home the award for Best Comics-Related Film at the festival. 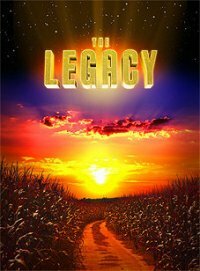 Mike Doto leads his cast and crew of his new short film THE LEGACY to Comic-Con Film Festival! 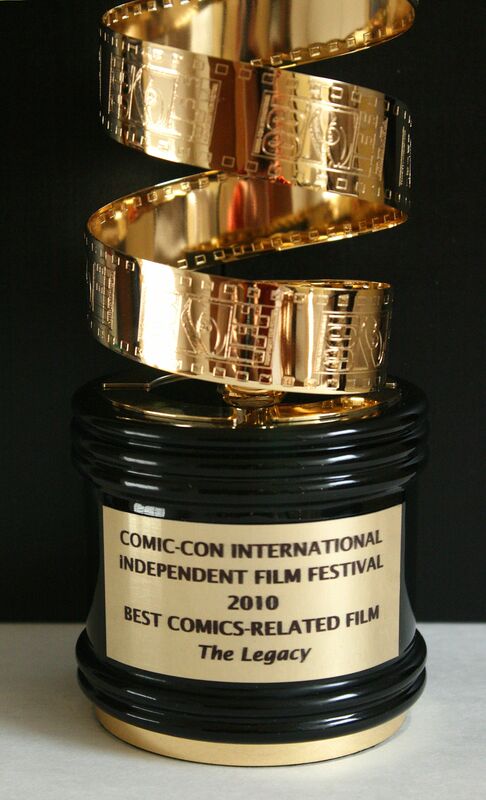 They win BEST COMICS-RELATED FILM Award! THE LEGACY, directed by Mike Doto, wins Best Comics-Related Film Award at 2010 Comic-Com Film Festival. 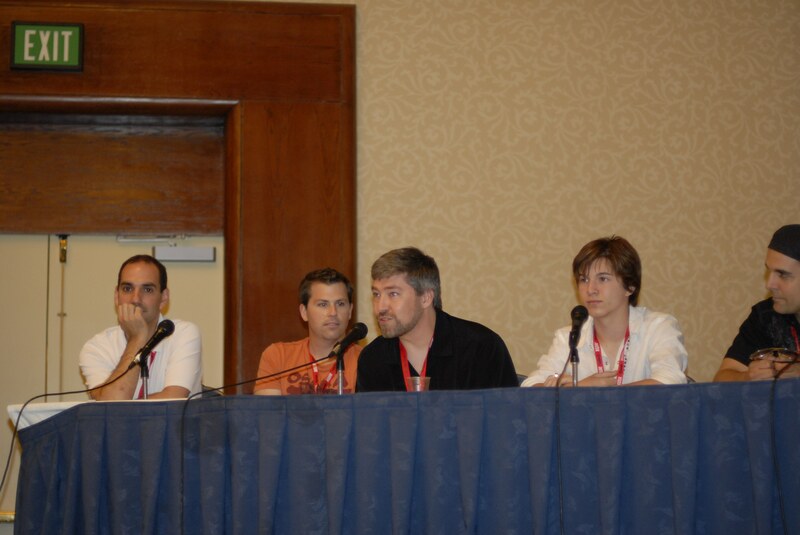 [img src=http://blog.hollywoodshorts.com/wp-content/flagallery/legacy/thumbs/thumbs_exhibition_room.jpg]280THE LEGACY creative team at COMIC-CON! 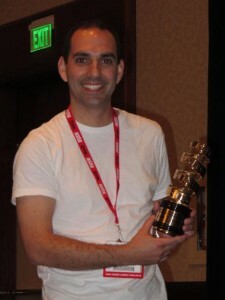 Joey Newman, Mike Doto, Dawn Sommers, Victor Carbonneau, Mark Robertson[img src=http://blog.hollywoodshorts.com/wp-content/flagallery/legacy/thumbs/thumbs_mikeandvic.jpg]170THE LEGACY wins BEST COMICS-RELATED FILM Award at COMIC-CON!